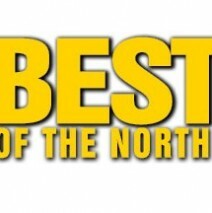 Come out and vote for Pam at the “Best of the North” party! Hundreds of Cincy Magazine readers weighed in on their top picks for the Best of the North’s businesses and services. The finalists – ranging from shopping to dining to healthy living – will showcase what has made them a local best. Statements in Hair’s Pam Brooks is a Finalist in the Master Stylist category. Voting will take place at the event to determine the winners in each category. Join us at “Best of the North” and vote for Pam, where she and her stylists will be offering free consultations, quick up-do’s, make-up, and styling for men and women. Tickets are $20.00 and include complimentary drinks, unlimited food, live music, fun & freebies! Visit cincymagazine.com to reserve your ticket online or pay at the door!